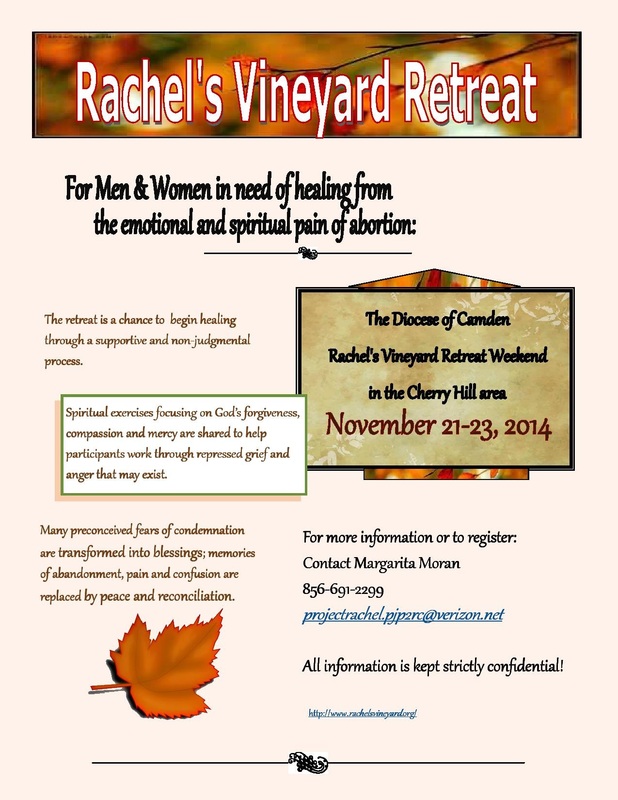 Rachel’s Vineyard weekend retreats offer a beautiful opportunity for healing to any woman or man who has struggled with the emotional or spiritual pain of an abortion. The retreat is a chance to get away from the daily pressures and to focus on a painful time in life, and to begin healing through a supportive and non-judgmental process. Spiritual exercises focusing on God’s forgiveness, compassion and mercy are shared through psychological exercises which help participants work through repressed grief and anger that may exist. Many preconceived fears of condemnation are transformed into blessings; memories of abandonment, pain and confusion are replaced by peace and reconciliation.